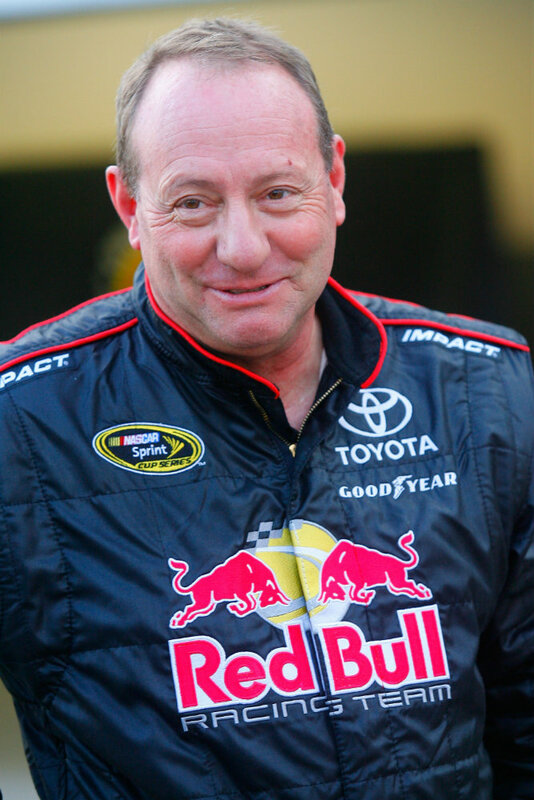 Ken Schrader has been one of the most popular drivers on the NASCAR circuit – and many others – for more than 40 years. Take a look at what has kept him going all these years in this week’s Fast Facts. Kenneth Schrader was born May 29th, 1955 in Fenton, Missouri. He raced in the sportsmen class at Lake Hill Speedway in his home state in the early 1970s, winning the track championship in 1971, before moving into the USAC sprint car ranks; Schrader was the 1982 USAC Silver Crown champion and 1983 USAC Sprint Car champ. He raced in USAC’s stock car division in 1980, winning the Rookie of the Year title that season. In 1983, Schrader attempted to qualify for the Indianapolis 500, but wrecked his car in practice. Schrader made his NASCAR Cup Series debut in 1984, joining the series full-time in 1985 with Junie Donlavey and winning the Rookie of the Year award. In 1988, he signed with Hendrick Motorsports to drive the No. 25 Folgers Chevrolet, winning his first Cup race at Talladega in July of that year. Schrader was with Hendrick for nine seasons (1998 through 1996), winning four races and 17 poles in that span. Schrader raced for Andy Petree Racing, MB2 Motorsports, BAM Racing, Wood Brothers Racing, Richard Childress Racing, Hall of Fame Racing, Haas-CNC Racing and Latitude 43 Motorsports between 1997 and 2010. In 2011, he signed on to run a part-time schedule with FAS Lane Racing, which continued into 2012. In his career, Schrader has four Cup Series wins, two Nationwide Series wins, and one Camping World Truck Series win. He has also collected 29 poles between the three series. Schrader also races on numerous local tracks throughout the year, and owns dirt late model and dirt modified cars; he also occasionally races in the ARCA Racing Series. He owns I-55 Raceway in Pevely, Missouri, and is co-owner of Macon (Illinois) Speedway, along with NASCAR stars Kenny Wallace and Tony Stewart and promoter Bob Sargent. Find out more about Schrader and Ken Schrader Racing at www.schraderracing.com.